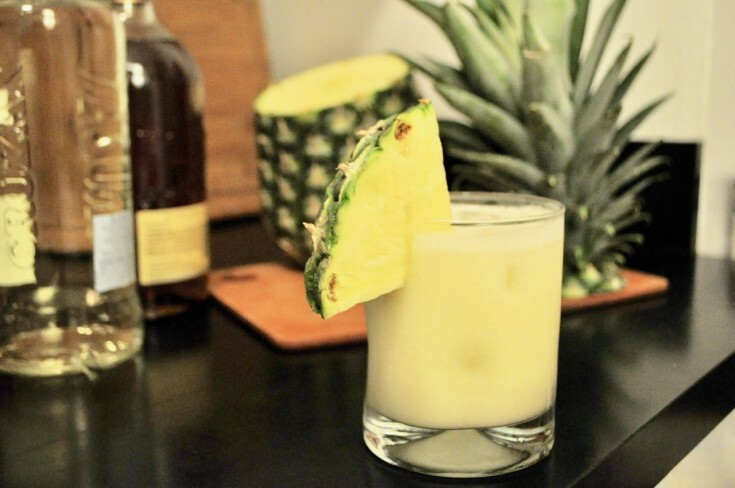 Yesterday I joined NPR's Rachel Martin on Weekend Edition to talk about daiquiris and pina coladas, and to offer ways in which both of this unpleasant beverages can be improved. Listen to the segment above, or read the transcript below. The recipe for the Maddow Colada is here. There are a lot of things that get a bad rap and then will never shake said bad rap no matter what: canned beanie-weanies come to mind, for example. They're never going to be thought of as high cuisine, let's face it. The song "Escape" by Rupert Holmes - though it has a kicking chorus - probably will not become a better song with time. MARTIN: So, speaking of things that get a bad rap and can't shake it, The Sporkful's Dan Pashman says fluffy, fruity frozen beverages with umbrellas also fall into this category. Yes, we are talking about the pina colada. But it's summer and these concoctions come out in full force this time of year. Talk to me, Dan. I'm not a fan of these drinks but a lot of people love these things. MARTIN: The umbrellas are happy drinks. PASHMAN: Right. They look very cute. I will give you that. But they don't feel so cute when they end up in the bottom of your stomach with a thud. MARTIN: Because these things are not always super natural beverages. PASHMAN: Not only are they not super natural, many are made with a mix that's full of chemicals and artificial sweeteners. But on top of that, all that ice - they're huge. You don't need a drink that large. By the time you get to the bottom, they're half-melted anyway and then you're just really drinking watery syrup. They're just too much. MARTIN: That does not sound delicious. Why are they still on the drink menu? PASHMAN: Well, hopefully 'cause they're ready to be redeemed. But to do that, you know, I think we should look a little at their respective histories. OK. The daiquiri was brought to the U.S. from Cuba in the late 1800s. And it's a great drink in its original form. It's just rum, lime, and sugar, or simple syrup - three ingredients. Shake it with some crushed ice, strain it into a chilled glass. You got a great drink right there. MARTIN: OK. What about the pina colada's roots? RACHEL MADDOW: When we think about bad chemical drinks that make you feel bad, give you a stomach ache and make you fat, we think about having redesigned for modern ease or transportation or storage purposes drinks that were once wholesome. The tragedy of the pina colada is that the pina colada was never wholesome. MARTIN: That's a bold statement. PASHMAN: Yeah, that's what it's called. It's got a catchy name, I'll give it that. Although most of the ingredients end in the letters A-T-E, such as polysorbate. Maddow describes it basically as a chemical slurry. MARTIN: Yeah, that does not sound delicious. I mean, can't you just use, like, I don't know, coconut to make a pina colada? Isn't that more natural? PASHMAN: Well, it is more natural, then you lose something that is good about the classic pina colada. 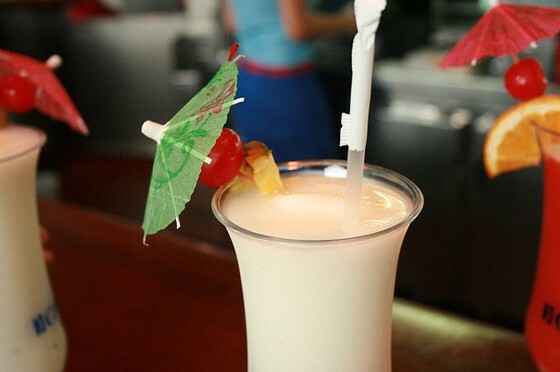 It's a special kind of sweetness the traditional pina colada has and you don't want to lose that. Coconut milk can't do that for you. Maddow has pioneered a new and improved pina colada. It's all natural, light and refreshing. MARTIN: Are you on her payroll? PASHMAN: I am not. It is my job to share with the world these great innovations, Rachel. She shared with me and she gave me permission to share it with you and the world. The key ingredient is orgeat. MARTIN: I don't even know what that means. PASHMAN: It is almond syrup. Yeah, it's pretty simple. It's the key component of a mai tai. You may see it in cafes. And best of all, you drink one of these things, you'll be ready to do a cannonball off the high dive. MARTIN: I wouldn't go that far. But, OK. So, let's say I want this new kind of fangled pina colada. I mean, if I just go into a normal bar, can I demand such a drink, or is the default always going to be this, you know, the chemical slurry? PASHMAN: I think if you're talking about the pina colada, that's a tough one because almost everyone's going to make it with Coco Lopez, or even worse, a Coco Lopez knockoff. The daiquiri, though, you know, there are bars that make a great simple classic daiquiri. But there are warning signs that you're in a bar that doesn't fall into that category. If you see a blender or a slushy machine or if the names of the daiquiris sound like desserts, they're probably coming from a mix and you should watch out. MARTIN: Dan Pashman. He is the host of the Sporkful food podcast and blog. He'll post the full recipe for the Maddow Colada at Sporkful.com. Hey, Dan, thanks for the helpful advice. Cheers. PASHMAN: Thanks, Rachel. Cheers to you. The MSNBC host nerds out on cocktails, debates lime wheels vs. wedges, and speculates about what the bartenders in heaven are like. Live on stage! 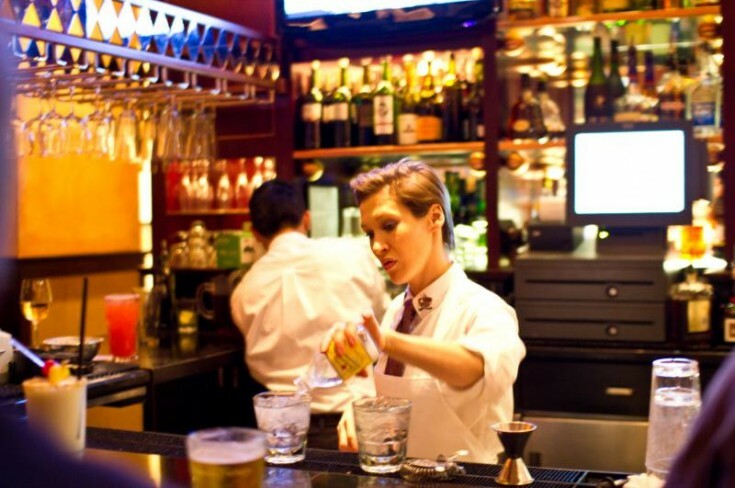 A world-renowned mixologist and the former bartender at a beloved Chicago dive bar tell us how their work is a little like showbiz and a little like babysitting.